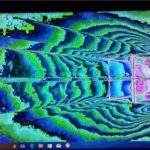 Windows 10 is an amazing Operating system for personal computers. 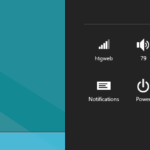 In Windows 10, all icons and text size are not always perfect. There’s a handy new menu for adjusting the size of your display’s contents, which you can use to create everything larger or smaller to suit your own preferences. 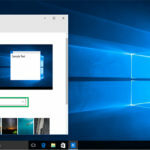 Here in this article, we are going to share how to Change Text Size In Windows 10. 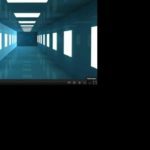 Whether you have a laptop with a very small screen or a desktop with a giant screen, your computer’s fonts could be too small to read comfortably. Or, conversely, they are bigger than you require. You can easily adjust the text size for the whole operating system or only for specific areas. 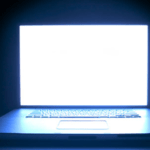 The methods vary based on your operating system and how much insignificant you would like to do. 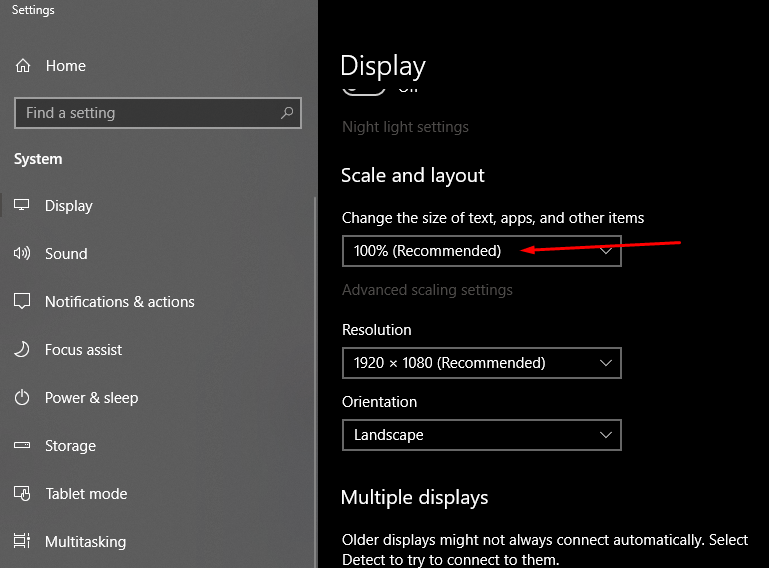 The default font size in Windows 10 can be too little for some, particularly when on a higher resolution display. Every major Windows 10 upgrade makes the Control Panel marginally more obsolete. 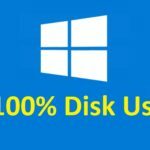 Microsoft has been migrating settings and features from the Control Panel into the new Settings program. The procedure has quite a few growing pains. For users, it is tough to find a specific setting. 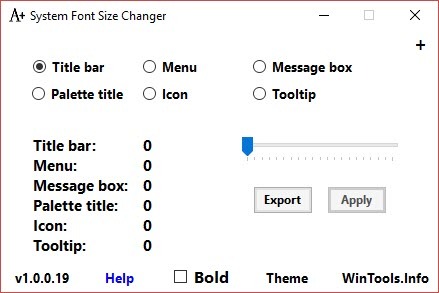 System Font Size Changer is a portable program. You do not have to install it. It modifies the Windows registry to change the system font size. 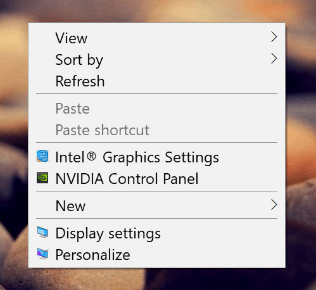 Right-click on the desktop > choose Display settings. You can change the size of text by changing the value of “Change the size of text, apps…”. The slider moves in increments of 25 %. Click Advanced Display Settings > advanced display settings < Advanced sizing of text and other items. A screen with several display selection appears. From here you can choose a font size for menu, icons, and text. Click “set a custom scaling level“. In Windows, you can customize the size of your font. You can increase or decrease the size of the text. Now there are many ways to do this. You can also use Font changer software. 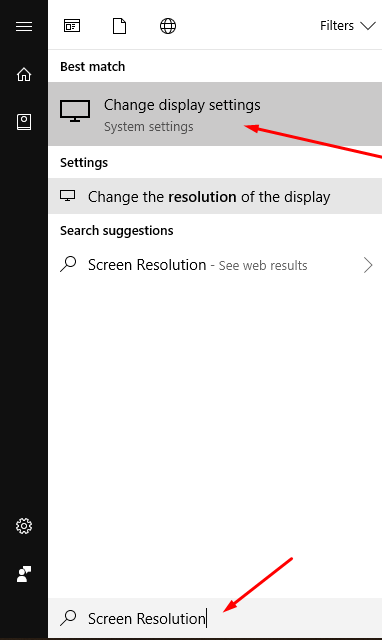 Step 1: Open Search bar clicking Windows Button and then type “Screen Resolution“. Step 2: Click on Screen Resolution first result and then on the right side, find font size. It will be 100% by default but you can change it. Step 3: Click on the Dropdown icon and then increase the font size. Another way to increase font size is to change the display resolution. Increasing the resolution will make your UI larger, but it is not recommended because it is not looks good. 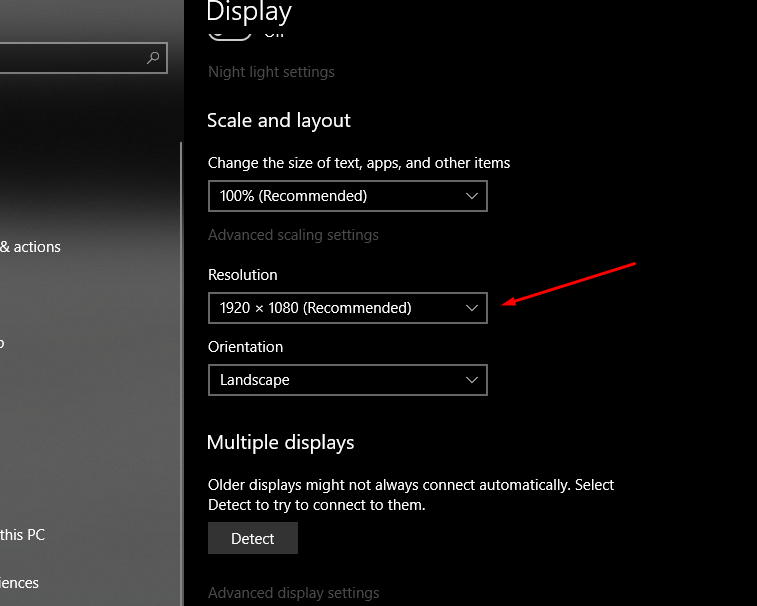 Go to the same display settings as method 1 and look for Resolution. 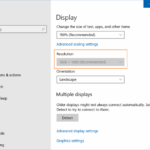 Change the Resolution according to your need and save settings. 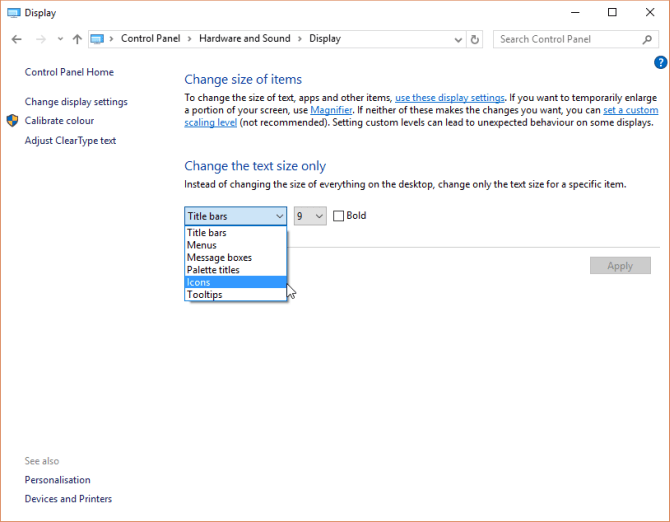 Hope you liked this article on how to Change Text Size in Windows 10. If you need any help then comment below.